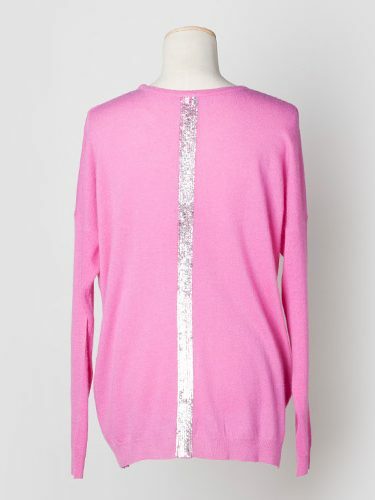 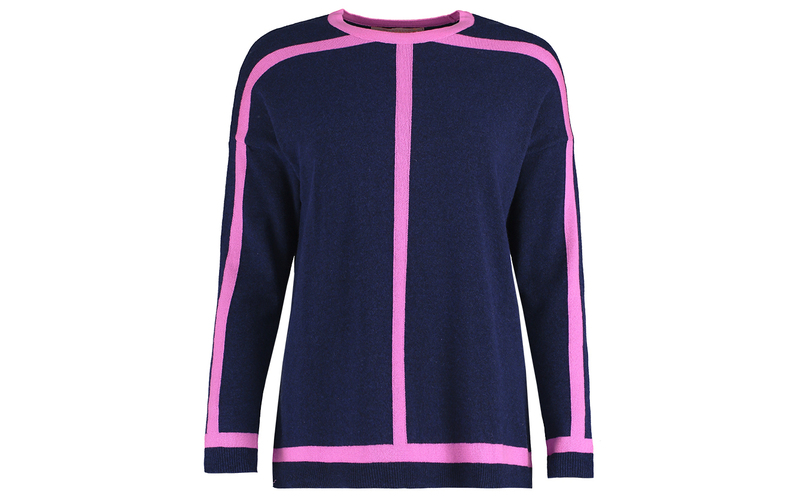 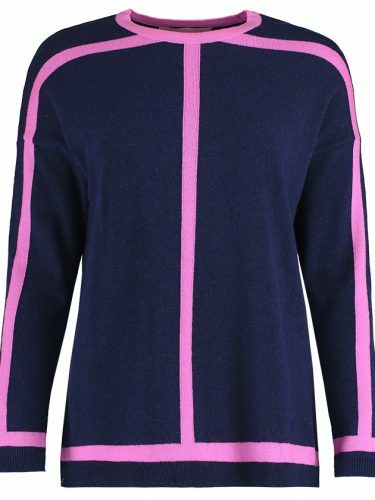 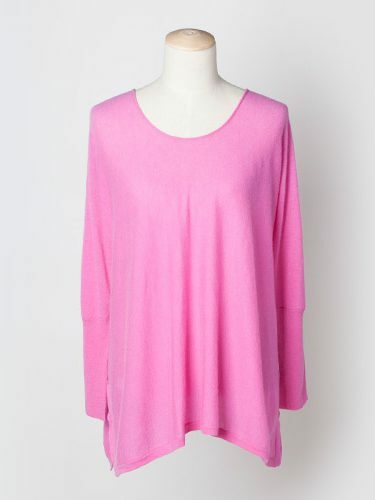 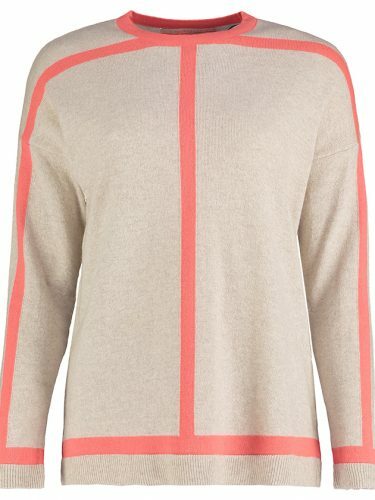 Gorgeous Navy Sweater with Pink Detail from designer brand Vilagallo. 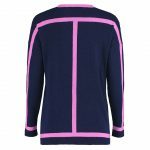 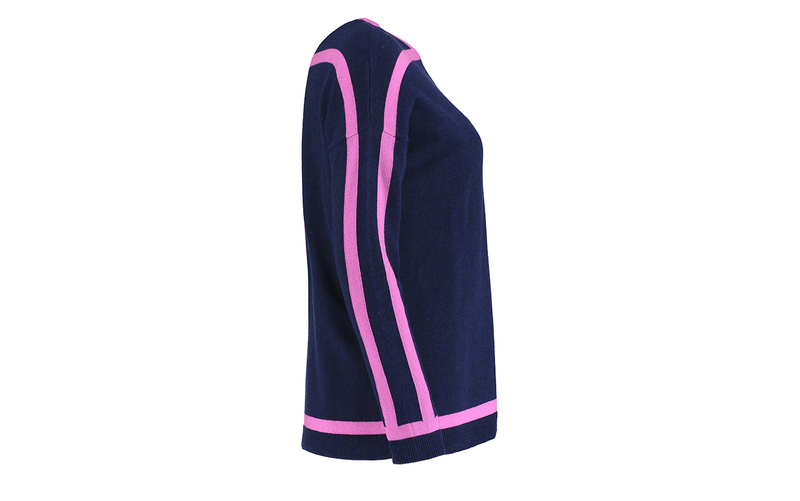 Stunning Navy with Pink stripe detail on this fabulous sweater make it something special, it will liven up your wardrobe and ensure you will not go unnoticed. 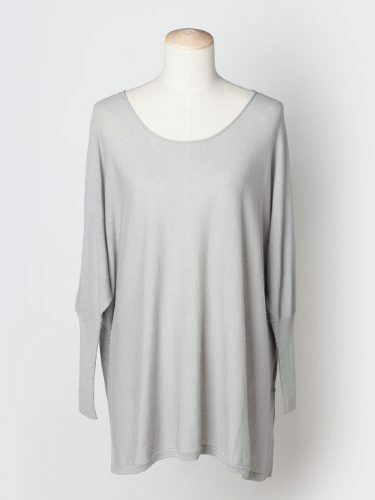 Fabulous crew neckline, ribbed cuffs and hem. 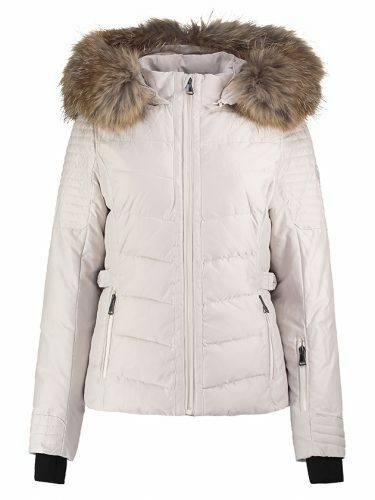 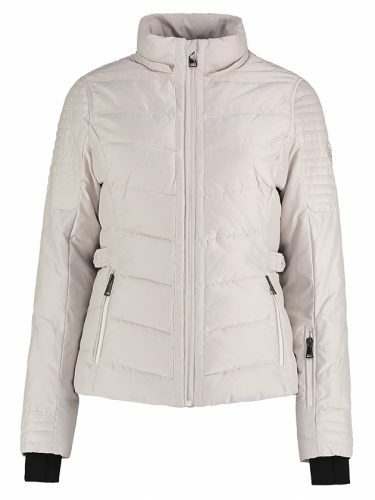 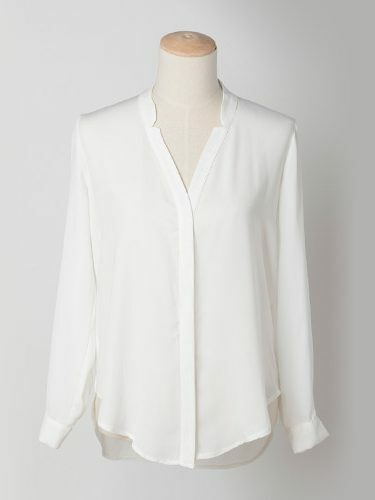 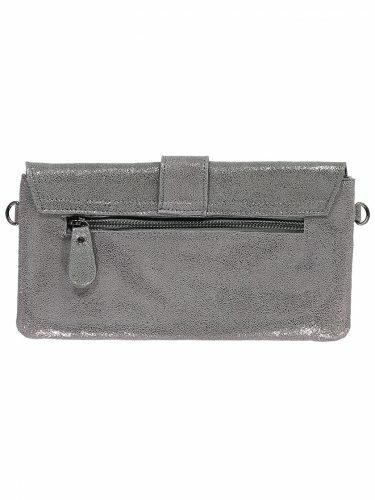 A great wardrobe addition, wear it casually with jeans and pumps or dress it up a little with a jacket and heels. 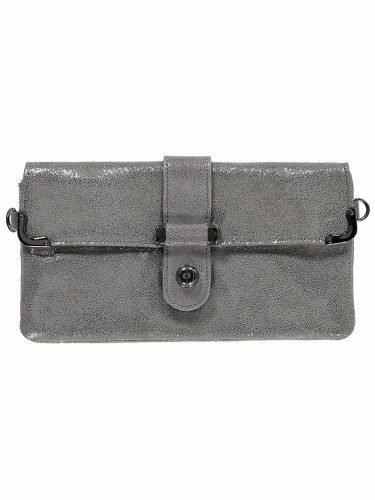 A really useful and unusual piece that you will be worn again and again. 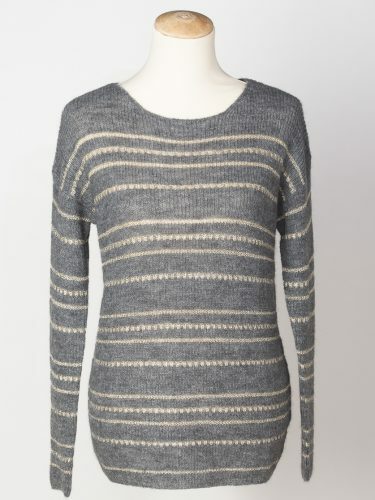 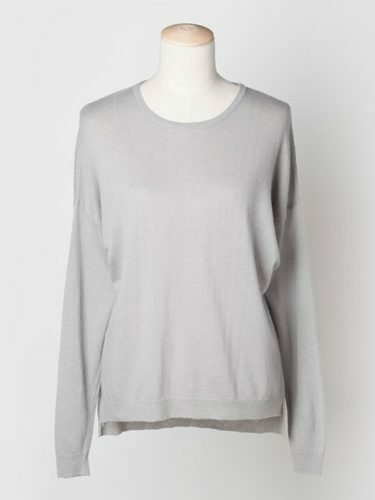 Lightweight and warm, super soft to the touch, in lovely cashmere/merino wool mix. 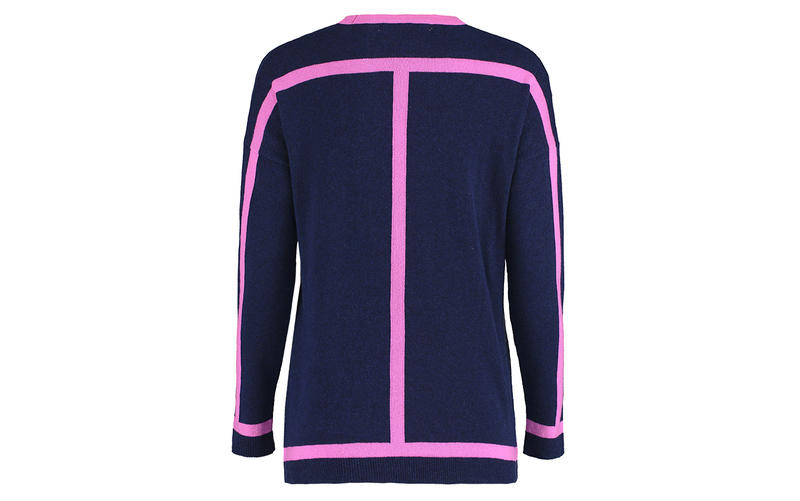 Vilagallo is a collection from Spain, refined and casual. 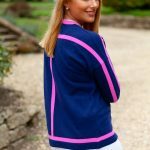 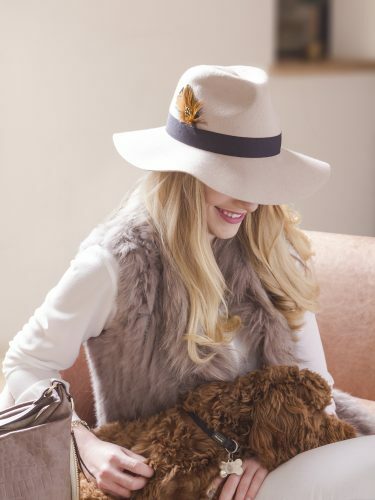 The brand has its own identity, using wonderful colours, textures, fabrics and designs, Vilagallo is always fun and exciting, it is a playful brand, and is not too dressed up. 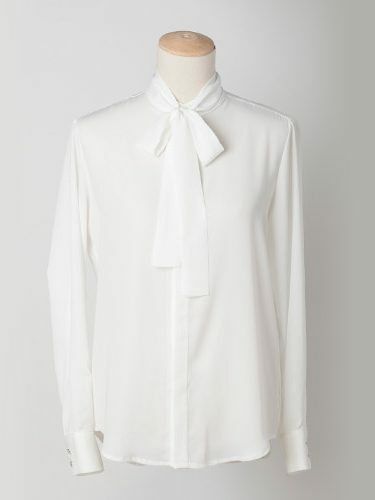 The signature can be described as casual chic. 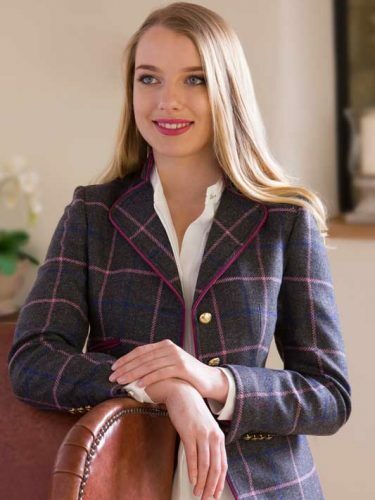 Explore our latest collection of beautifully designed womenswear: hand embellished cashmere, smart tailored jackets and blazers to leather parkas.